The Starmont story began over 25 years ago, starting as an integral part of the Merryvale brand. Led by the Starmont Chardonnay and delivering high quality Carneros and Napa Valley wines at approachable prices, Starmont complemented the more mature Merryvale portfolio. For a decade and a half, these two brands shared space at our venerable St. Helena facility. It was a perfect partnership, but as Starmont grew from a single wine into a full-fledged brand, it became time to move out. Opportunity to find a new home was realized in 2005. 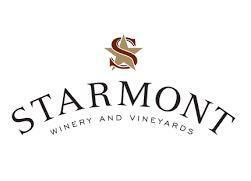 Starmont acquired 50 acres of the prime Carneros vineyard and a portion of the Stanly Ranch Estate first planted in 1872, while simultaneously breaking ground on the new winery the same year. Honoring the heritage of the vineyard, Starmont has constructed a state-of-the-art "green" winery. Among other steps taken towards sustainability, the Starmont Winery recycles 100% of winery process water, diverts over 98% of waste away from ending up in a landfill and generates enough electricity each day to power over 250 homes. In creating a certified Napa Green Winery, Starmont ensures that the surrounding area will remain pristine for future generations to enjoy. James Suckling 92"Assertively toasty and spicy oak aromas sit across an array of ripe dark-berry aromas that lead to a palate that offers plump plum and mocha flavors. Still needs to come together. Try from 2020."~J.S. James Suckling 91“Fresh aromas of wild blueberries and some herbs such as sage and cedar. Medium-bodied with fine tannins and a fruity finish. Drink now.”~J.S. Wine Enthusiast 91"A dash of Sémillon adds to the playfulness of this wine, which is medium-built and moderate-to-high in acidity. Tangy curls of lemon, lime and grapefruit evolve into a bristling back note of crispness that just begs for oysters."